Cosmetic procedures are becoming more common amongst men. They are seeking to have a clear and youthful complexion that looks natural. At Avenue Advanced Skin Care and Avenue Plastic Surgery we understand that men’s concerns can be quite different to women’s, and after careful assessment and consultation, we tailor a solution to address each client’s specific needs. We understand that men’s cosmetic procedures are not just about improving physical appearance but also is about enhancing self-confidence and self-esteem. With the most advanced equipment and techniques, we are able to offer results driven treatments with peace of mind. Anti-wrinkle injections are a revolution in non-invasive facial rejuvenation. At Avenue Advanced Skin Care, we offer expertise in comfortable, safe, and precise anti-wrinkle injections. Treatments involve an injection of a natural, purified protein to relax the muscles responsible for wrinkles. Common treatment areas for men include frown lines between the eyebrows, crows feet around the eyes and worry lines across the forehead. Treatments only take approximately 10-20 minutes and provide smoother skin for 4 to 6 months, with visible results within days after your treatment. To learn more about anti-wrinkle injections please read here. Dermal fillers are a safe and effective way to attain a healthy and natural appearance. 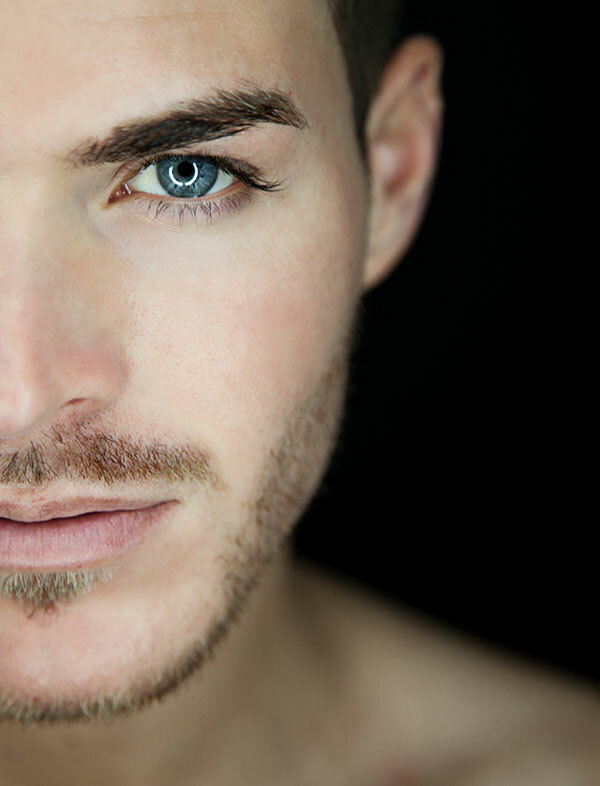 A non-surgical treatment, dermal fillers are injected below the skin and are designed to help combat the signs of ageing, and can be effective at adding shape to the face and proportion to areas of concern – treatments such as nose reshaping and chin augmentation are particularly common with our male clientele. Dermal Fillers are a fast and simple procedure with immediately noticeable and natural results. To learn more about Dermal Fillers please read here. Acne is a very common skin condition among both men and women, and people of all ages can be affected – despite having had an acne-free youth. The causes of acne are multi-factorial and different for each person, and therefore acne treatments used vary from person to person. Treatments need to be tailored to the severity of the acne present, the ability to identify and avoid certain triggers. If acne is left untreated, scarring can result. Changes in the skin related to pigmentation can include freckles (ephelides), moles (nevi), age or sun spots (senile & solar lentingo), post inflammatory hyperpigmentation (PIHP) and birthmarks. Pigmentation can cause the skin to look prematurely aged or uneven in appearance. Men who spend a lot of time outdoors, for work and/or leisure are more likely to suffer from pigmentation of the skin. Rosacea is a common, chronic skin condition that results in facial inflammation and redness. Rosacea classically presents as underlying redness, facial flushing, visible capillaries and sensitivity. Men are more than twice as likely to experience an enlarged nose in a condition known as rhinophyma, which is a symptom of a more severe class of rosacea. Symptoms of this subtype include excess tissue, thickening of the skin and irregular surface nodules. We emphasise the importance of ongoing management of Rosacea, which also includes identifying and avoiding certain lifestyle triggers which can aggravate rosacea. If you’re tired of the constant upkeep and hassle of unwanted hair, then the experienced team at Avenue Advanced Skin Care can help. We offer the choice between medical grade hair removal technologies of IPL and Laser Hair Removal, enabling us to treat all skin tones safely and effectively. IPL and Laser Hair Removal are also a great solution for men who suffer from ingrown hairs. Ingrown hairs can occur from repeated waxing and shaving, even if you exfoliate regularly, and can result in unsightly sores and scarring. Common hair removal treatment areas for men include; chest, back, shoulders, in-between eyebrows and earlobes. Work environment, hobbies and general lifestyle habits can all impact the way men age. Daily at-home skin care routines can either be a help or a hindrance to the health of the skin. Not all skincare is created equal. Cosmetic skin care products (found in pharmacies, retail stores, department stores, supermarkets and spa/beauty clinics) are not able to deliver change to your skin. The ingredients in these products are generally not active, and because of in-effective delivery systems, are not able to penetrate the skin at a cellular level. Meaning these products can only maintain your skin at its current condition. Cosmeceutical skin care is formulated to include chirally-correct active ingredients, without the inclusion of irritants, toxic or harmful ingredients. The complex delivery systems in cosmeceutical products are clinically proven to penetrate the skin, and address your skin concerns at cellular level. All of our skin consultations include the recommendation of cosmeceutical skin care. Our Dermal Clinicians provide clients with a tailored skin care program specifically designed to address the needs of male skin. If you are self-conscious about the shape, size or prominence of your ears, then ear surgery could be right for you. Otoplasty is one of the most common plastic surgery procedures for men. Ear Surgery is designed to reduce large or protruding ears by setting them back closer to the head as well as correcting the shape of the ears to better fit overall facial appearance. Gynacomastia is a common condition that affects almost 40% of men. In most cases, gynacomastia is due to fat deposits in the chest under the breasts. However, the condition occasionally occurs when the male breast glands become enlarged. Enlarged male breasts can be embarrassing and devastating to your self-confidence. Many men with enlarged breasts feel restricted in the clothing they are able to wear and never bare their chest at the beach. Male breast reduction surgery can be performed at Avenue Plastic Surgery to achieve a flatter, more masculine looking upper body. The size, shape, proportions and symmetry of your nose are a focal point of your appearance. It’s not uncommon for both men and women to be self-conscious about the size or shape of their nose. Fat deposits in certain areas simply cannot be lost through diet and exercise. An otherwise fit man can have unwanted fat in specific spots on the knees, thighs, buttocks, hips, upper arms, abdomen or under the chin. Liposuction is the permanent removal of unwanted fat cells to reveal a slimmer body with more balanced proportions. Liposuction is not just about fat loss but is also about rebuilding your self-esteem and self-confidence. Abdominoplasty, more commonly known as a tummy tuck, is the most effective way to tighten and tone the abdomen. A tummy tuck involves the removal of excess skin and fat (including stretch marks), as well as the tightening of the abdominal skin. It is also used to tighten abdominal muscles that have weakened or stretched over time. Through abdominoplasty our male patients can achieve a tighter, flatter stomach.